That other duty came in the form of putting on a pig mascot costume and heading down to the Best in the West Nugget Rib Cook-Off media luncheon. 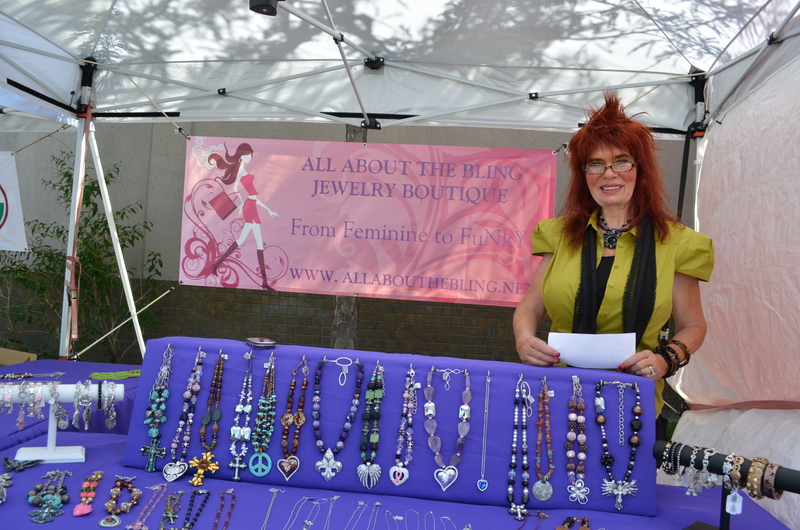 For Cheryl Bartee, a good wardrobe starts with the bling, which is why she began her own jewelry line in May 2012, All About the Bling Jewelry Boutique. This past Thursday was Cheryl’s first time at Sparks Farmers’ Market, and she was very excited to start selling some of her pieces. Cheryl just recently moved to the Reno area from Dallas, Texas with her husband, and loves it here in Northern Nevada. It’s the Monday back from an incredible holiday weekend, celebrating freedom and patriotism in all shapes and forms. Some may have camped out on a beach, others BBQing with family, or maybe you watched a spectacular fireworks show with friends. I was at work, and while I was sad I couldn’t spend time with my family at their annual BBQ, I was able to take part in putting on the largest fireworks show in the Northern Nevada Region at John Ascuaga’s Nugget. Star Spangled Sparks is a 14-year-long tradition involving delicious food vendors, fun carnival rides and games, and of course concluding with an amazing fireworks show. As a young girl, my family would always hike the few blocks from out house to the Nugget, toting along our lawn chairs and tupperware of cut up watermelon, to watch the breathtaking show.